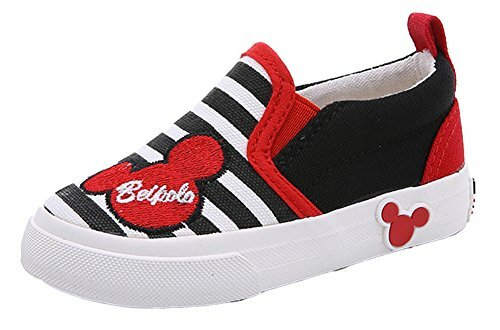 These adorable mickey loafers don't only go in style, but ensure kid of the feeling of comfort, lightness. Good walk around shoes for young boys and girls. Easy for your little darlings to slide into and super cute in person. With durable slip-resistant rubber sole, kids are able to enjoy their childhood time to the fullest.